We met our new OBGYN today, Dr. Paer in Escazu and he was a realy neat guy. We are all very excited. 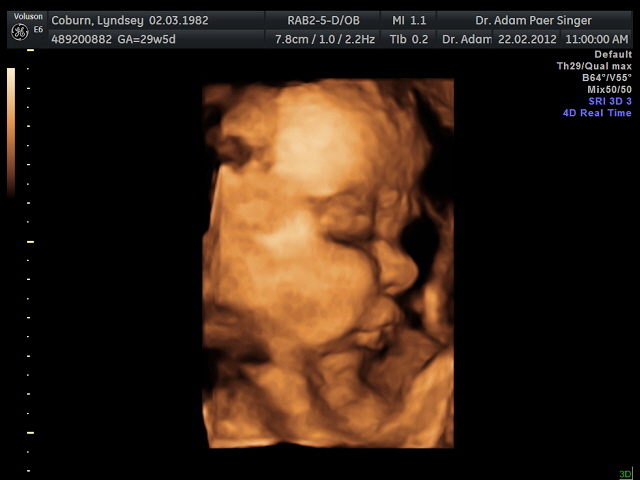 He had the 4D ultrasound machine in his office, and did a check up to make sure that everything is alright. We are glad to say that she and her mom are both healthy girls!